Personally, this is one of my favourite series. It is simple, black and white, and - though it may not appear so - it was challenging. 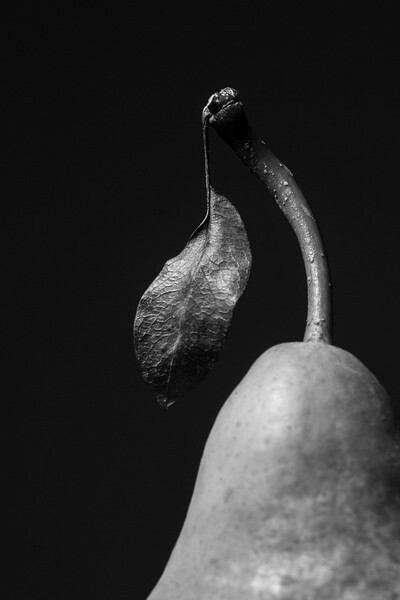 I wanted to create more food photography and incorporate the vulnerability of black and white. 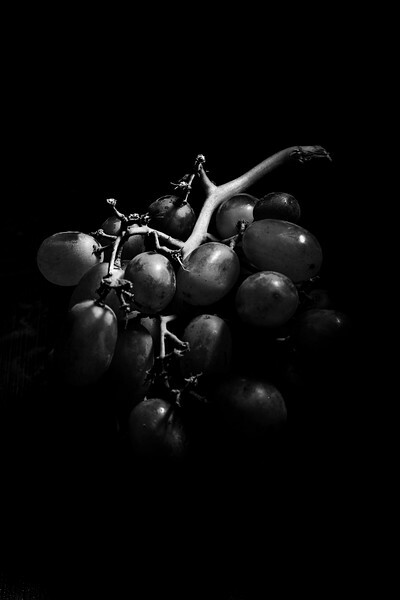 While using one single light source and filtering it the way that was needed, I was able to capture fruit in a way that made it look both elegant and mysterious. Playing with the shadows helped nicely capture the details. The leaf had such detail - I had to photograph it. 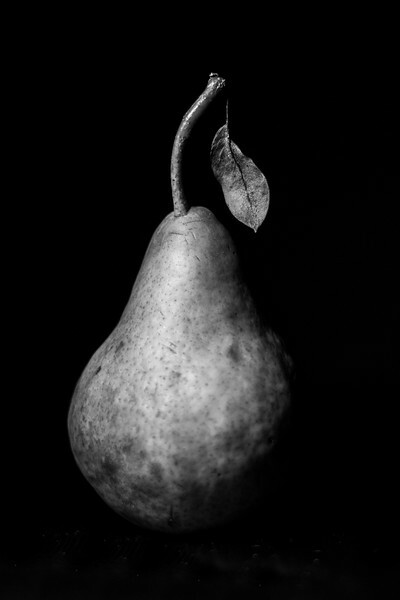 Pears are an odd shape, but very fun to photograph. The texture adds to it and makes for a very interesting image, if lit nicely enough. The leaf on the stem just made it that much more perfect. I carried the fruit out of the grocery store like a baby and sheltering it from the wind to insure that it didn’t fall off. I don’t think it would have turned out half as good had that leaf not been there. 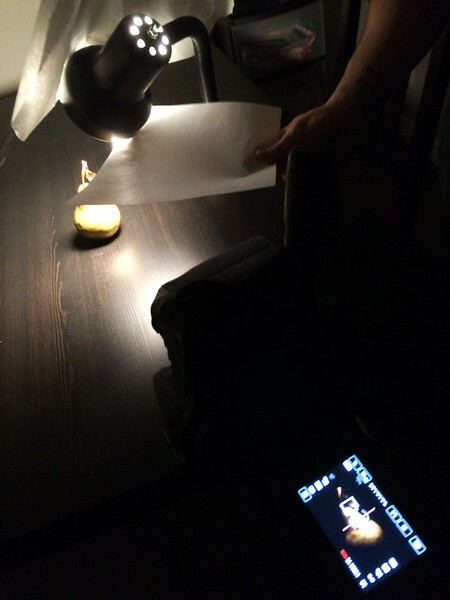 Here is a behind the scenes look at the production of the pear images. The rest were done more or less in the same way. I used a desk lamps as my light source and diffused/blocked the light using paper and occasionally my own shadow. This rim light helps capture the shape. I’m happy with the way this one turned out. The light gives a sort of gradient in the shading that makes it more appealing. 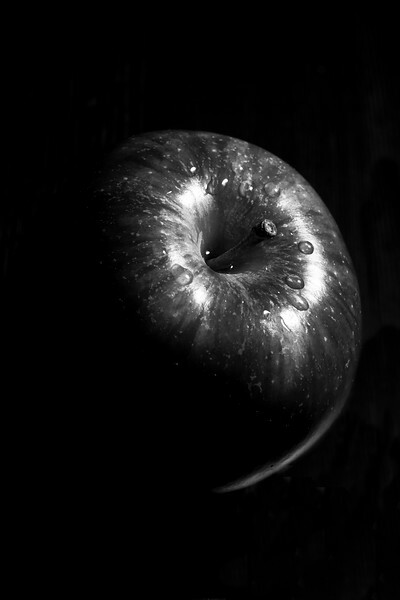 Moral of this shoot: beauty is found in everything - even in a piece of fruit. 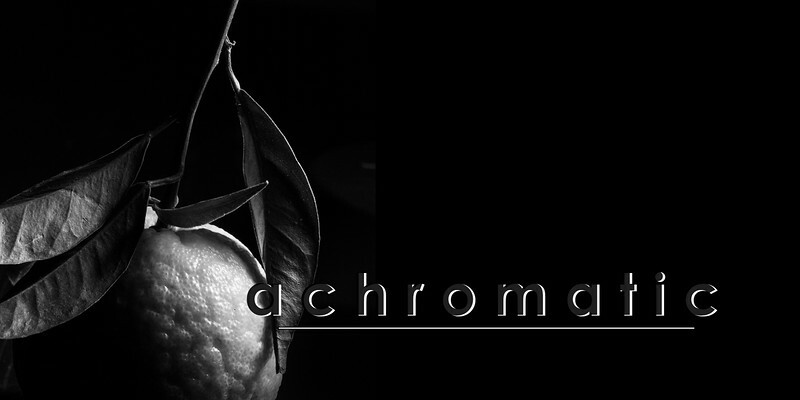 I hope you enjoyed this behind the scenes look at achromatic.